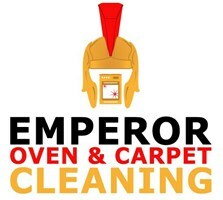 Emperor Oven & Carpet Cleaning - Cleaning Services based in Dagenham, Essex. Emperor Oven & Carpet Cleaning are a family business that puts customers first. Our team cover all of Essex & Kent including Havering, Thurrock, Basildon, Chelmsford, Southend on Sea, Hainault, Chigwell, Brentwood, Billericay, Canvey island, Rayleigh, Epping, Sittingbourne, Maidstone, Medway, Gravesend, Rochester, Snodland and all surrounding areas. We specialise in cleaning Ovens, Hobs and Extractors as well as Carpets and we have been in this business many years. Don’t worry about how dirty you think the job is, we have certainly seen worse. Cleaning your own oven & carpets can be a bit of a nightmare and we know how difficult and ineffective it can be trying to use supermarket products than can be harmful to breath, cause damage and burns etc. We use the latest micro splitting Eco friendly techniques with professional equipment to ensure the right results.